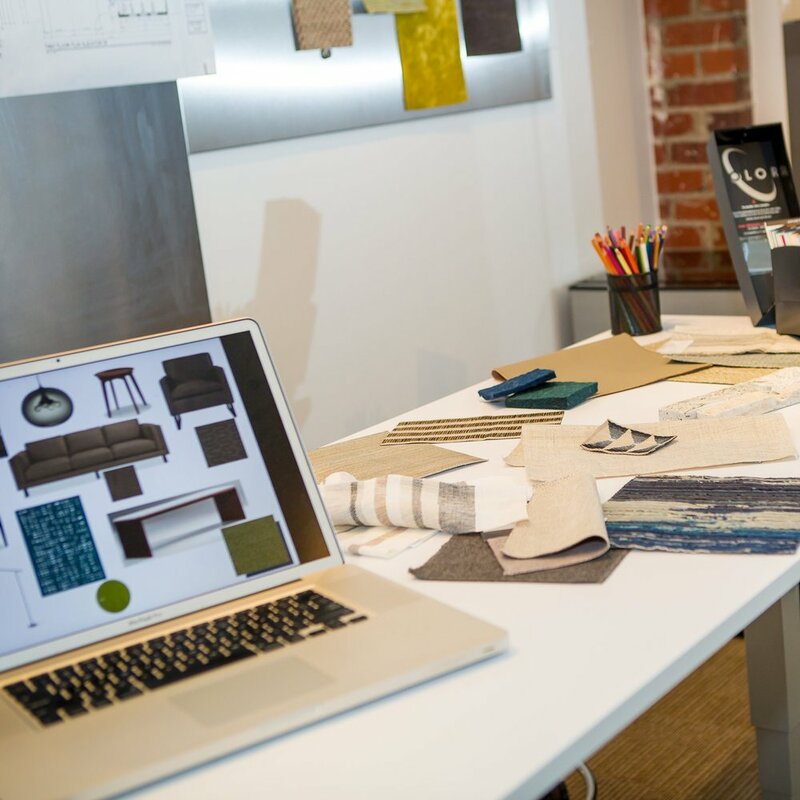 The design concept—space planning, color palette, fabrics, fixtures, finishes, etc.—is only 10% of our work. Making sure the other 90% is completed with as little stress and headache for you is the real job. An established estimating and billing structure which ensures that there are no “unexpected” invoices or additional charges. Every designer will tell you that they pay close attention to design details, but just as important is to pay close attention to the day-to-day processes and procedures that need to be followed on every project, no matter the size. Mark Design is known for our passion for these details, and our homeowners have consistently praised us for our follow through. Designing beautiful spaces is only one part of the job. Because I truly love the entire process, I am just as passionate about the creative aspects of the work as I am about purchasing, deadlines, relationships, production and installation. This translates to better relationships with the vendors, subcontractors, builders and teams who are working on your project. As our client, you are involved every step of the way. CONTACT US FOR A COMPLIMENTARY ONE HOUR CONSULTATION! We are a member of the American Society of Interior Designers (ASID) and are bound by the organizations professional guidelines and standards. Allow me to keep in touch with you so I can share new events at Mark Design and keep you informed about new product launches and trends in the design industry.